The Offmat sink is invisible. 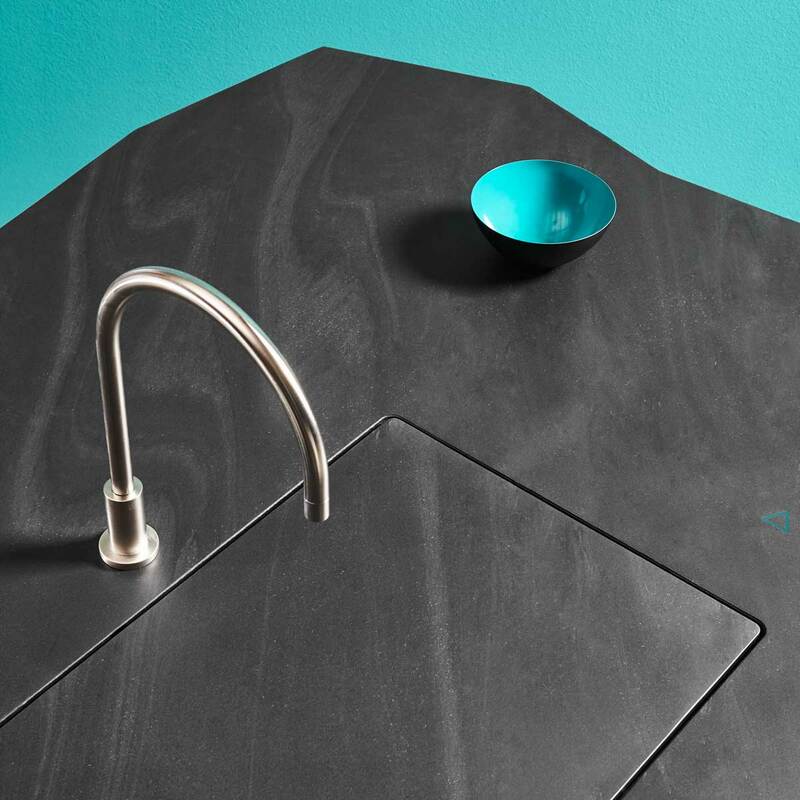 Just a thin line highlights an area of the worktop, which turns into a basin with a simple hand movement and no physical touch. This basin is integrated into the surface providing the stone material with an apparent plasticity.